Chadwick Boseman, the Marvel’s Cinematic Universe’s Black Panther, will likely declaim “For Wakanda!” at his Alma Mater’s 150th commencement ceremony. Some moviegoers, untutored in T’Challa’s 52 year comics history and long-arc storylines involving Thanos, Infinity Gauntlets, “Secret Wars,” Kree-Skrull battles and other epic saga sources of Marvel’s movie machinations, will still be reeling from unexpected traumas of Black Hero Death in “Infinity Wars: Part I.” Fear not: Having attracted a billion dollars of a heretofore undertapped Black demographic’s money into the MCU, Marvel will not soon allow T’Challa, Heimdall, Falcon, Nick Fury, Gamora and kin to go gently into that good cinematic night. An Afro-futurist Wakanda flows from a central question in our subaltern imaginary: What might Africa be had it never been colonized? Howard students enrolled at a university shaped by and preoccupied with finding answers to help forestall or negate perpetual existential threats to Africans, far too rarely ask—much less imagine layered answers—to such a question. The transformative natural resource of Wakanda is the Vibranium mound. Howard’s transformative resource is, and will always be, its people. Mastery work is slow and accretive. At Black Universities, it must never be disassociated with thinking work for collective liberation. Wakandans would never celebrate the to-be-expected as exemplary. Neither should we. Proxy Wakandas in the Global HBCU firmament emerged out of liberation struggles, from Legon, Makarere, Ibadan and Fort Hare to the Caribbean’s UWI system. Black students who occupied Cornell and Columbia in 1967 and 1968 and who called for Black Studies and Black Cultural Centers at Brandeis, Oberlin, Ohio State, San Francisco State, Northwestern and elsewhere carved liberated Black spaces out of which to imagine and plan new Black worlds. And desegregation has further complicated liberation desires of HBCU students and Black students at HWCUs. Lines of debates between nationalism and assimilation captured in Laurence C. Morse’s brilliant 1986 novel of life at Howard and HBCUs, Sundial, are much more blurred now, birthing new possibilities for new thinking. 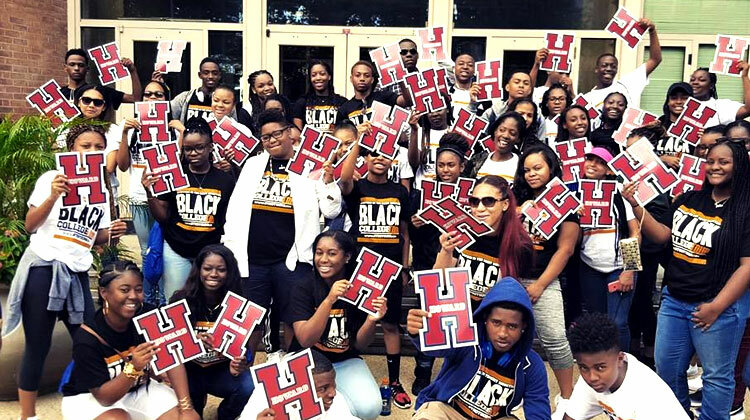 Still, unlike what dreams of individual achievement youngsters on annual HBCU college tours might expect of HWCUs, Howard and our sister institutions are living Wakandas. They look to us for a larger common purpose. Unlike the home of T’Challa, Okoye, Shuri, M’Baku and their imaginary kin, these young people need fear no existential threat from Thanos or anyone else. Unlike the comics, they seek the places where we have everything we need to link our incomparable African pasts to our glorious African futures. The honorifics, from Mecca to Wakanda to what will invariably come next out of Black creative imaginaries, are generational labels for our HBCUs, objects of that thankfully unquenched desire.